Ottawa, February 3, 2016 - Sabatini U. 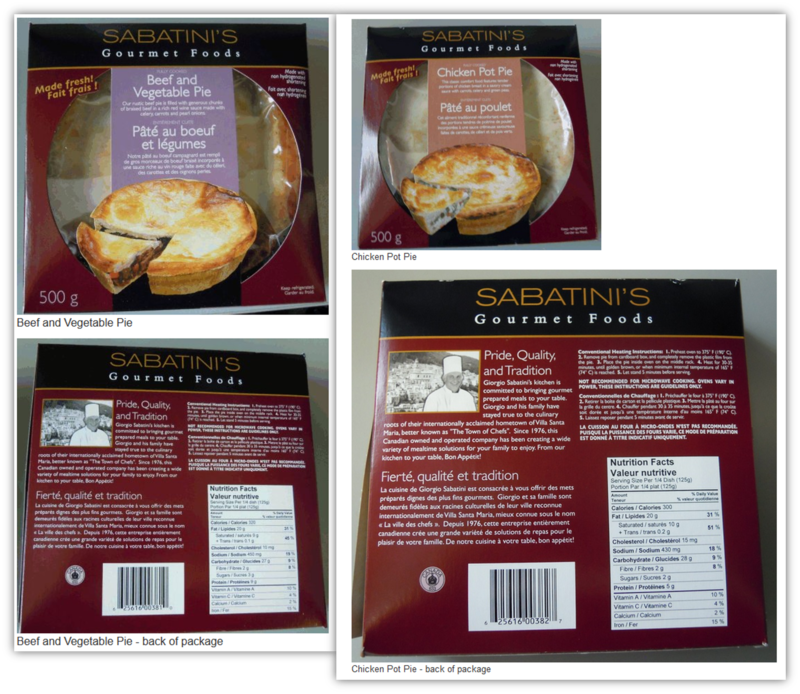 Gourmet Foods is recalling Sabatini's Gourmet Foods brand Beef and Vegetable Pie and Chicken Pot Pie from the marketplace because they contain egg which is not declared on the label. People with an allergy to egg should not consume the recalled products described below.